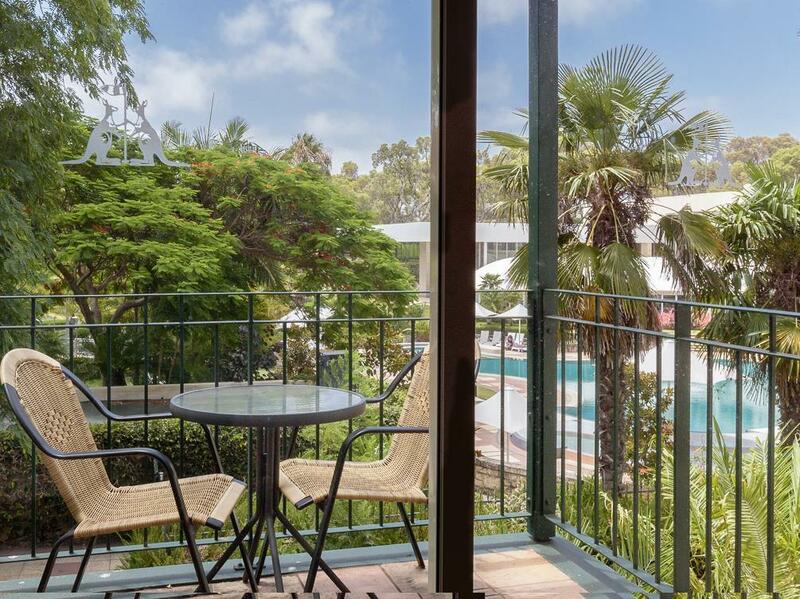 يقع فندق Joondalup Resort Hotel، المصمم ليناسب كل الضيوف سواء كانوا من رجال الأعمال أو السياح، في مكان ممتاز في أحد أكثر المناطق تفضيلاً في جوندالوب. لا يبعد الفندق كثيراً عن مركز المدينة، فهو يقع على بعد 1.0 km منها. في حين يستغرق الطريق منها إلى المطار حوالي دقيقة. بالنسبة لمن يريد الخروج، هذه بعض المعالم السياحية المتوفرة للزوار Lifecare Prendiville, Prendiville Avenue Medical Centre, Shenton Avenue Medical Centre. إن الخدمات الممتازة وحسن الضيافة العالي في Joondalup Resort Hotel تجعل إقامتك تجربة لا تنسى. لضمان راحة ضيوفه، يقدم الفندق الخدمات التالية: واي فاي مجاني في جميع الغرف, خدمة التنظيف يوميًا, مجهز لذوي الإحتياجات الخاصة, مكتب الاستقبال على مدار الساعة, مرافق مخصصة لذوي الاحتياجات الخاصة . يمكن للنزلاء الاختيار من ضمن مجموعة من الغرف المصممة بعناية لتعكس جواً من الراحة، والتي يتجاوز عددها 70. كما أن مجموعة الخدمات الواسعة الموجودة في الفندق لضمان راحتك تترك لك الكثير من الخيارات لقضاء وقتك أثناء فترة إقامتك. 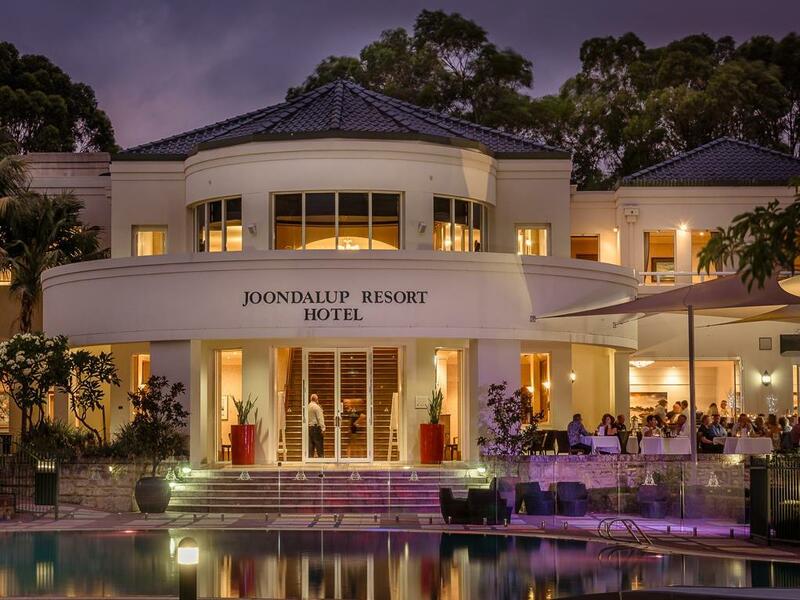 يشكل Joondalup Resort Hotel بخدماته الراقية وموقعه الممتاز، قاعدة مثالية للاستمتاع بإقامتك في برث. Very clean and staff friendly. downside menu in Bistro was limited but OK and Spa pool was not senior friendly as was very deep to step in and out of and had to report a fall to manager but he didn't really think it was a problem. The room was lovely and spacious. Beds very comfortable, a dream to sleep on. Shower was wonderful. Even though it was noted on bar fridge that they are ran on a low power source (to save energy) , it unfortunately never got cold. It did say to contact concerige if you required assistance to have drinks colder /quickly though this wasn't convienent, did order ice though a colder bar fridge would have been better. Rooms service was very good. Food delicious. (a $5 surcharge was a little steep) An option for breakfast would be great, especially when wanting to treat oneself and not have to get out of bed. Room was clean though there were areas that had large build up of dust, especially exhaust fan in bathroom, and above bed frame ,had not been cleaned for some time). Would stay here again . would have liked a more cost effective package as i felt the breakfast was too expensive , also having rodents roaming around outside our room was very unsettling for both myself and the kids, however the duty manager did act promptly to relocate us. also the ducks swimming in the pool area at night time was a bit of a worry considering my children wanted to swim in the pool and I was concerned of dirt from the ducks in the pool . staff were very friendly and rooms were clean. We stayed in the suite, the bathroom robes were really old and material just felt stiff, so we didn’t use them. Design is abit out dated inside, felt a bit dark inside the room as they only have lamps and no ceiling lights. The balcony had a lot of spider webs everywhere. The room is a great size though, would stay again but most probably wouldn’t stay in the suite again, Especially for the extra money you pay, I’d probably just book a twin room next time. Our first stay at the resort and a quiet location and the Reception staff professional with friendly greeting. The surprise, to find the Deluxe room had twin Queen beds and so much room space in comparison to other Perth hotels. The room was kept clean to a high standard with bathroom towels white and soft. The balcony accommodated a table and two chairs with good room to move. Good assortment of hot and cold for breakfast with both indoor and outdoor seating looking onto the pool. Wish we had booked for two nights and will definitely be going back this year. Thank you for the lovely time had. Noicy when mowing lawns early in the Morning , when we did request for quietness .so that didn’t happen ... Aircon fluctued wasn’t consisted on temp Knowing for two bed wasn’t big enough tv . Toilet had constant smell . Had a four night stay over New Year and played a couple of rounds of golf (beware of the kangaroos), for which we received a good discount as we were staying in the hotel. Rooms are good, food in the restaurant is excellent and reasonably priced, as are drinks with great weekend cocktail offers. Attended the New Year Party which was possibly the best I have been to (I'm 61, so have some experience). Easy flight from Singapore so I hope to return before too long. Wonderful stay here-nice room size, clean bathrooms. The staff were friendly and helpful. TV is small but otherwise the room was great. Comfortable beds. Very nice large pool with a spa and separate smaller shallow section for the younger kids-the kids enjoyed it. The stand out for our stay was the dinner we had at their restaurant Bistro 38-the service from staff was exceptional and the food was delicious. Will come back just to dine here again. A bit hard to provide a review on staff and facilities as I only dealt with the staff on reception when I checked in and saw what was around the place. Location was very convenient as I had an event on nearby, but that's why I chose it. Close to the freeway and train. You can walk to the local shops. The room had all the usual amenities and was certainly lovely and clean. 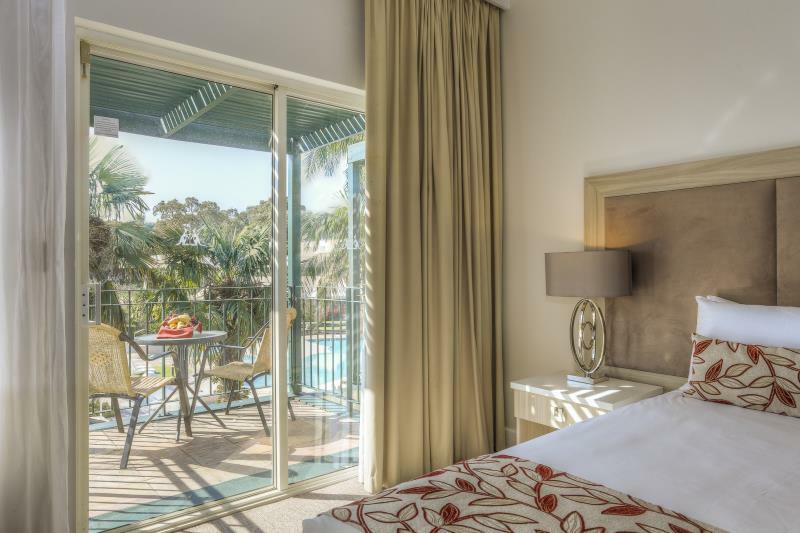 One of the best things about Joondalup Resort is the tranquil surroundings even though you're less than a 5 minute drive to the freeway. If I'd paid full price for this, I would have to say it's not value for money, but because I got a fantastic deal through Agoda, I was happy with what I paid. Rooms are very nice and comfortable beds. Bothtimes we have stayed we have had a room over looking the car park. Not great. Restaurant staff are very nice but found the reception staff to be a little sombre and not overly helpful. Had a lovely stay at joondalup. Great location and nice hotel However i feel the rooms are over priced for what you get. Paying $260 a night i would expect to get a bath in my bathroom not just a shower. very nice setting around a golf course .Kangaroos evrywhere, real nice. the pool area great--[shame about the dirty ducks landing in it though and walking around pool area pooing.] good laundry and rooms nice. I found the food delicious and worth the price. The room was very average for the price, especially as it was overlooking a car park. For the price we paid I expected a more luxorious room. Although I found the room very clean and the bed very comfortable. The worst thing is that the walls are very thin so I could hear people chatting above me till about 1 am. Then about 50 crows, crowing at about 5am. So I didn't have a restful night's sleep. Overall I wouldn't stay over night again there but would definatly go back to eat. 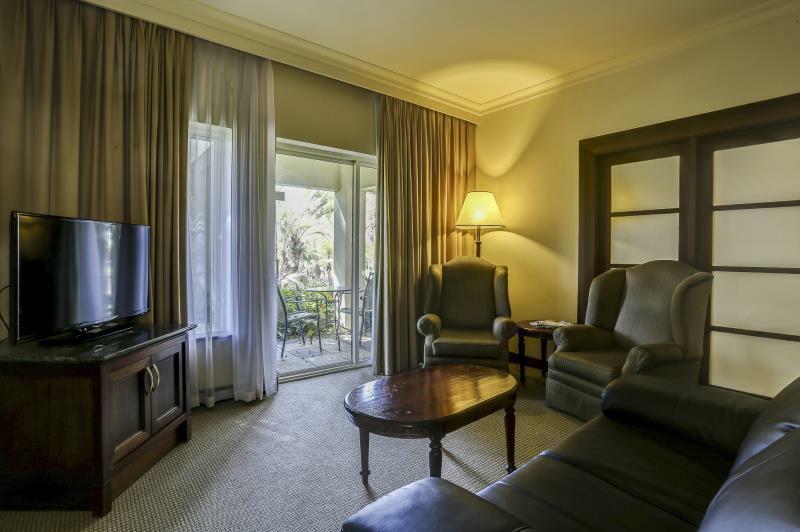 Lovely resort, beautiful gardens, very comfortable rooms. Didn’t managed to enjoy much of the facilities, as arrived late and tee off on golf course early next morning. Only that the breakfast as good, and room are comfortable.